Today on the show we’re welcoming Omar Vaid as we begin to wrap up our Congressional Contenders series. Omar is one of the seven Democratic primary candidates for NY11, our House of Representatives seat covering Staten Island and South Brooklyn. Also joining us today is our special guest host and local journalist Kadia Goba. Kadia is filling in for Rachel, who’s stepping aside for today’s interview since Rachel is currently employed as Omar’s Communications Director. Omar spoke with us about the centrality of Unions to his campaign, as well as his core message of protectionism for American industry. We also spent time discussing how unions intersect with healthcare, social security, congestion pricing and education. Finally, we touch on the similarities between Omar’s use of social media and how he intends to use his Congressional seat to call out lobbyists and advocate for change. Finally, Kadia and Dan spend a bit of time at the beginning of the episode talking about the upcoming Democratic Party petitioning process and how we can make it more equitable and fair by advocating for voter awareness early on in the primary season. 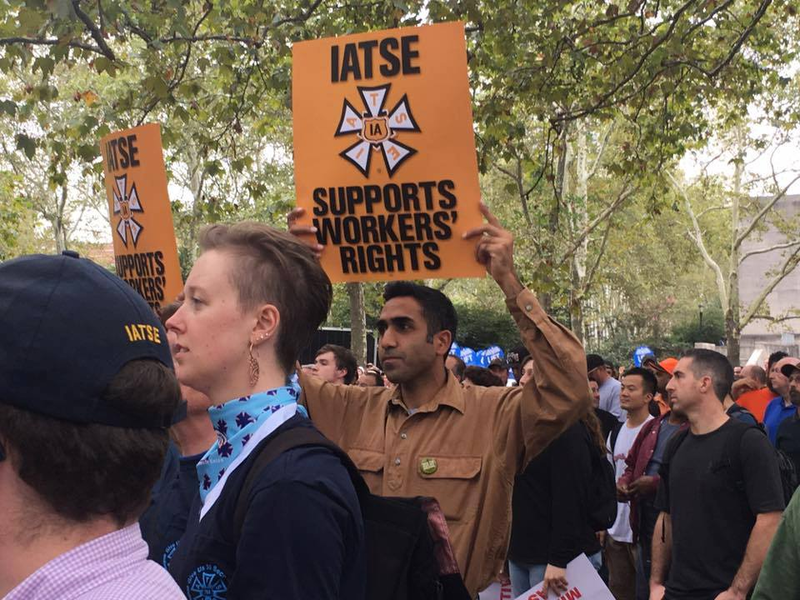 Omar Vaid protesting in support of his union, IATSE. Photo courtesy Omar Vaid for Congress. Full show notes coming soon!